You have a number of payment and financing options available at our office. Do not let money be an obstacle to enjoying a natural looking and more attractive body. We’re pleased to accommodate your financial needs. We accept CareCredit, which is one of the leading financial programs in North America. Patients with a CareCredit card can receive treatments for their health and beauty needs. There is special financing on purchases of $200 or more. The card can be used multiple times for follow-up appointments. 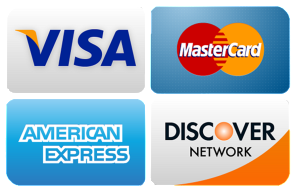 We accept cash and all major credit cards, including VISA, Master, American Express, and Discover. To learn more about our financial policies, please call us and schedule an appointment.